This love note collage fills my soul with joy. The time taken from a busy life to pen congrats, gratitude, thinking of you, or anything else in between, reflects a welcomed dose of old-timey effort. 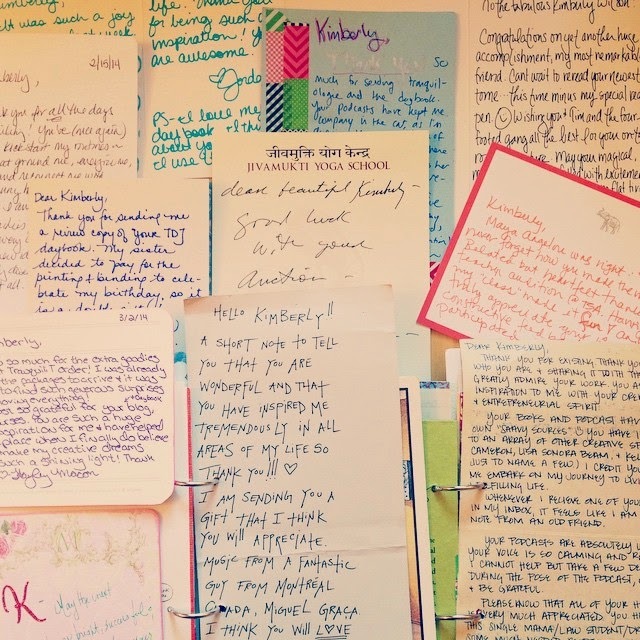 Instilled in me at a young age, I've held on to the thank-you note tradition. I tote blank note cards when traveling or leaving home for more than a few hours, so that I can pen one on-the-go. And, of course, I've got stamps and address labels in my wallet for a quick send off. Stuck with what to say? Worried you don't have the right stationery or pen? There are books, articles, and ideas to help. Here's how NOT to write a love letter. Enjoy how to write a charming thank-you note. Savor the art of letter writing, including necessary supplies.